All good bunker players consistently strike the same point and take the same amount of sand every time. To improve your bunker play draw two lines in the bunker (one representing start and finish point of impact) and take your stance with your feet equal distance on either side. Using a sand wedge, take a swing and see whether your club makes contact before the line, directly on the line, or after the line. The club should contact the sand directly on the line and the divot should follow, leaving the area before the line untouched. If you strike behind the line, then move your stance so the line is now closer to your back foot and vice versa if you hot after the line. No need to be afraid of bunkers any more! 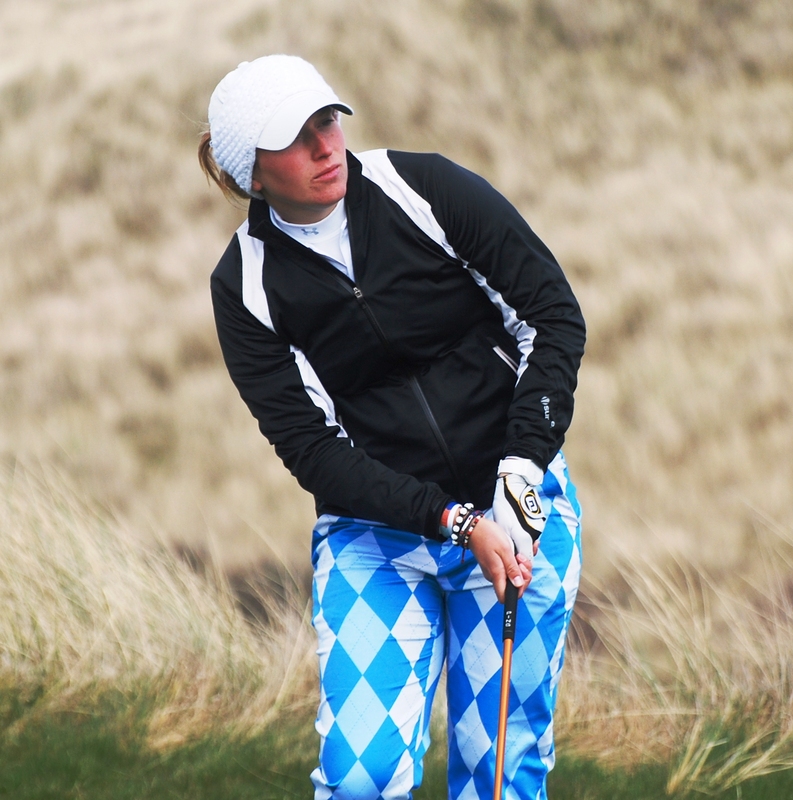 Jess Meek missed the past two Paul Lawrie Golf Centre Scottish Ladies Open Tour events because she was on international duty for Scotland women's amateur team in the European championship at Fulford Golf Club, York. Her absence allowed two professionals, Katy McNicoll and Heather Stirling, to relegate her to third place in the Tour's Order of Merit. Katy, pictured in her Royal and Awesome trousers, is the new leader with 4,365pt from six events. Heather is lying second with 3,649pt from eight events. Jess is now third with 3,585 from six events.